Yofi is the founder and head coach of the YO! STREET ZONE crew. Since he started playing street soccer 10 years ago, he has coached many to become some of the UK's best street football players. He also hosts the street football news show 'Pannarama' on YouTube as well as the 'PANNA SHOW' for 'Street Soccer International' which has gained him great recognition in the street football scene worldwide. His great experience in the game shows in his sharp skills and his ability on the ball. He is the master of total ball control, incredibly fast feet and amazing panna skills! Yofi has been featured on video and advertising shoots with Enterprise & UEFA, Disney XD, Soccer AM and has worked with brands like New Balance and Puma. He was also the MC for the European Street Cup in 2017.  As the biggest Panna crew in the UK, our 'YO STREET ZONE' team consists of talented male and female Panna Players who are available for hire for your event, advert or social media campaign. With a wide age range and a great variety of different street football styles and personalities, you are sure to find the perfect Panna Player for your event or advert. Our Panna Players can be hired as individuals or in a group. All of our Football Skills Tricksters are experts in their field and can demonstrate impressive street football skills, perform fancy 'Pannas' or 'Nutmegs' and engage your audience with fast feet and dazzling skills! Want to meet the rest of our Panna crew? Interested in hiring a Panna Player? Contact us today and fill in the form below. A member of our team will be in touch as soon as possible to discuss your event or campaign, pricing, and availability. Please let us know how many Panna Players/Football Tricksters you require for your event or campaign. You can also hire a Panna Arena with us - perfect for 1v1 Panna matches. If you tick "Yes" we will send you some more information.